(HUDSON, N.Y.) – Vocalist Sheila Jordan, pianist Joanne Brackeen, and Brazilian ensemble Quarteto Moderno headline the inaugural Hudson Jazz Festival at Hudson Hall from Friday, February 16, through Sunday, February 18. 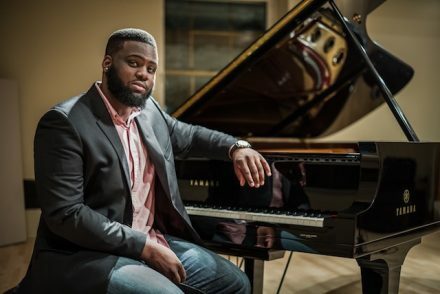 Curated by noted Hudson-based jazz pianist Armen Donelian, the festival highlights talent with a melodious reach that spans the globe. The festival kicks off on Friday at 7pm with the Ara Dinkjian Quartet, an instrumental collaboration rooted in Turkish, Armenian, and Macedonian Roma music. 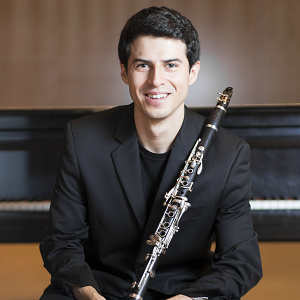 Donelian will also perform in this “Sounds from the Silk Road” program. On Saturday at 7pm, “Take Two” features jazz matriarch Sheila Jordan and vocalist-composer Dominique Eade, following up an afternoon of jazz solo piano immersion with “the Picasso of Jazz piano” Joanne Brackeen, in a “Piano Summit” including Aaron Goldberg and James Francies at 3pm. Festival audiences can then catch a free screening of director Stephanie Castillo’s award-winning portrait of the life and premature loss of a great American jazz talent, “Thomas Chapin, Night Bird Song,” at 5pm. Quarteto Moderno brings the curtain down on the festival on Sunday at 3pm. (HUDSON, N.Y.) – Hudson’s own Bindlestiff Family Cirkus continues its wintertime tradition of hosting a monthly cabaret, featuring a variety of circus, theater, comedy and musical entertainers, at Club Helsinki Hudson on Saturday, Feb 17, at 9pm. Each month this winter, Bindlestiff Cirkus will bring a new lineup, with acts including trapeze, contortion, acrobatic balance, sword swallowing, juggling, physical comedy, and oddball novelty turns. Bindlestiff’s Winter Cabaret can get pretty hot and steamy – even a little bit raunchy – and is for open-minded grown-ups only. 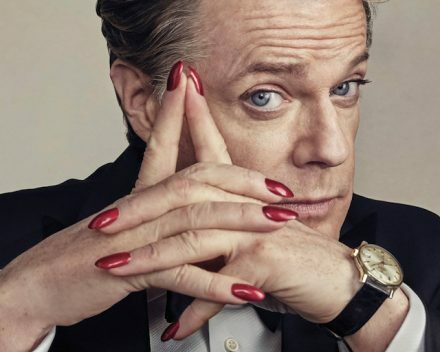 (KINGSTON, N.Y.) – Eddie Izzard brings his Believe Me Tour: Comedy, Painted Nails, Politics, My Life! to the Ulster Performing Arts Center (UPAC) on Friday, February 16, at 8pm. In this intimate evening of comedy, Izzard recounts the dizzying rise he made from the streets of London to West End Theaters and Madison Square Garden. For over 30 years, Izzard has inhabited the stage and film and TV screens with an unbelievable fervor. 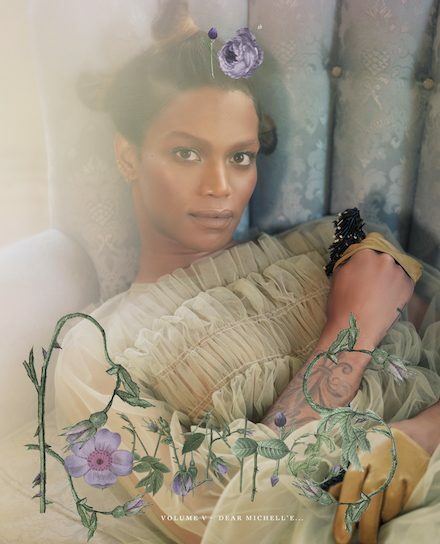 As a self-proclaimed “action transvestite,” Izzard broke a mold performing in makeup and heels and has become as famous for his “total clothing” rights as he has for his art. Izzard’s first book, Believe Me, published last year, is a New York Times Bestseller. (HUDSON, N.Y.) – “Painted Cities,” a new exhibition of urban images including works by Dan Rupe, Darshan Russell, Edward Avedisian, Patty Neal, Richard Britell, Robert Goldstrom, and Scott Nelson Foster, is on view at Carrie Haddad Gallery from Thu, Jan 4 to Sun, Feb 18. Featuring everything from paintings of the Empire State Building and Hudson Library to corner laundromats and takeout restaurants, the exhibition forms a compelling human portrait without calling upon the human figure. Crafted in an array of styles, from a Fauvist inspiration to hyperrealism, each cityscape captures a city’s character with an intense precision and sensitivity to the world people build for themselves. 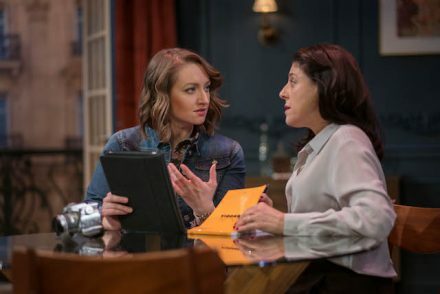 (ALBANY, N.Y.) – Steven Peterson’s “Paris Time,” about how a young woman’s life and a company’s fate are challenged by an anti-Semitic terrorist incident, is being given its world premiere at Capital Repertory Theatre, from Friday, Jan 26, through Sunday, Feb 18. A gripping and sophisticated drama that looks behind the headlines at anti-Semitism in today’s France. When Deborah, the wife of a successful American executive based in Paris, becomes an activist defending a young Jewish Frenchwoman, Charles gets caught in the corporate hot seat. Company policy demands him to withdraw from the political limelight or lose his career, but if he won’t get involved, he may lose his marriage.